Was the only product that helped me quit smoking. Three years now! Described as a cigar-ette and I really like it! It smokes like a real cigarette, without the "stink" of a real cigarette. Tobacco flavor has a very slight fruit and sweetness to it. After 45 years of "real cigarette" smoking, it was time to quit. These Daily Rich Tobacco are great. I have had several NJoy expire quickly. I relax that 300 is just a estimate but 8 of my order of 25 expired long before. Love these they last a good long time and smoke nice. This is the best product I have found so far to help me quit smoking. Great product, Very real cigarette like. Have tried others and keep returning to this one. Great everyday flavor...def hits the mark for a viable alternative to tobacco. This is the best substitute I've found yet. I've stopped looking for better. Keep in mind, I'm not looking for the perfect vape, I'm looking for a suitable cigarette substitute that's discreet, small, and reacts reasonably like the real thing. Satisfying. Relaxing. Good value. I primarily use vaping pens like Vibe and the NJOY Vape Pen, but I decided to try these. Wow. These are the best tasting vape I have ever tried. It tastes to me like a combination of blueberry and black licorice. It has a warm smooth flavor. 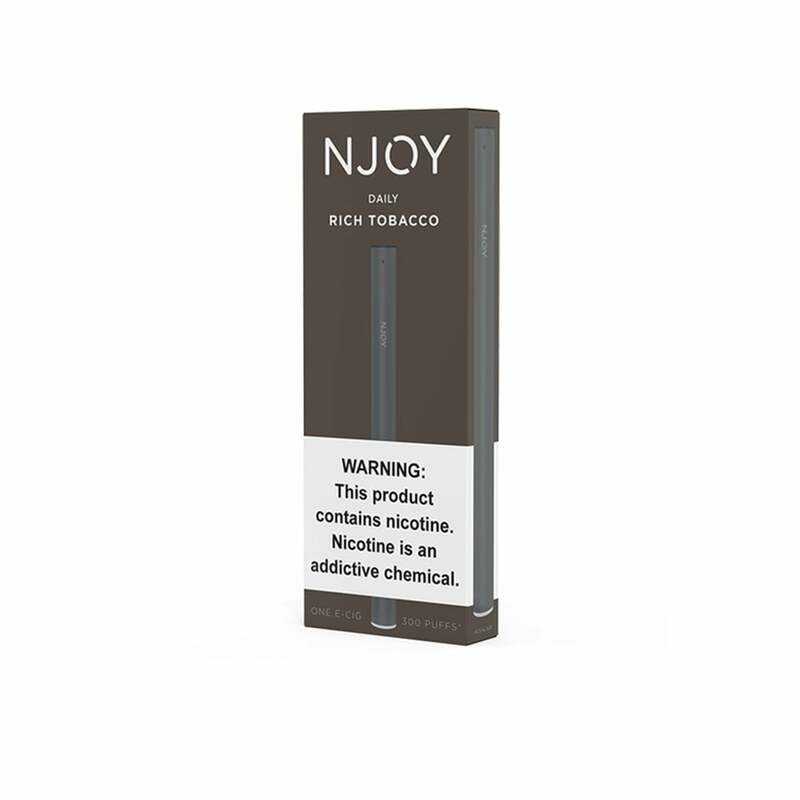 I can't use these all the time as it would be too expensive, but I do now supplement my regular vaping with these NJOY Daily e-cigs in rich tobacco flavor. I only wish they made this flavor available in an e-liquid, so I could enjoy it in my vape pens. Smoked for over 50 years and the NJoy feel and taste like real cigarettes but, my lungs have cleared so, I can continue enjoying smoking.